Trevor Ablett pocket knives are available at The Famous Sheffield Shop. Trevor Ablett is one of the last of Sheffield’s ‘little mesters’, producing traditional pen and pocket knives in much the same way that they were being made 150 years ago. Trevor Ablett makes beautiful ettrick knives, stag handle knives, pruner knives, barlow knives, lambfoot knives and so on. I bought my friend a Trevor Ablett “New pattern” Lambfoot pocket knife and it is a thing of great beauty and function. There are a couple of interesting videos about Trevor Ablett which can be seen at http://www.guardian.co.uk/money/audioslideshow/2010/jan/26/sheffield-pocket-knife-trevor-ablett and http://www.frequency.com/video/little-mesters-of-sheffield/60623016/-/5-2877013. Taylors Eye Witness Endurance Clip Blade Pocket Knife. Made in England. 3.5″ (92mm) closed, 2.5 inch (6cm) blade. 6.6 inches (16cm) open. A top quality pocket knife; sharp blade too. Taylor’s Eye Witness Endurance Folding Curved Clip Point Knife (in grey). Closed view. Made in England. 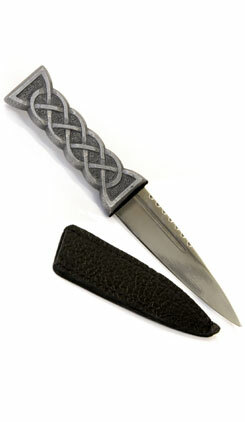 Hector Russell Sgian Dubh with leather scabbard. Made in Scotland. The Eggington Group – http://www.eggintongroup.co.uk – offers high quality Sheffield made knives and sharpening steels. Under the brand name Simply Sheffield make military knives (including the famous British Army Knife), safety locking knives and promotional knives. Whilst under the William Rogers name they made a commando knife (and presentation box). Under the George Wostenholm name they make pocket knives, bowie knives and trade knives. Under the Ibberson name they make yachting knives and kits, action knives, military knives, safety locking knives, trade knives and letter openers. Under the Joseph Rogers brand they make traditional pocket knives, smoker’s knives, letter openers, yachting knives and kits, military knives, British army pocket knives, safety locking knives, and letter openers. Under the Eggington brand they make sharpening steels, cook’s forks and butcher’s saws (and blades). Friday Fox – http://www.fridayfox.co.uk – sell a small selection of English made pocket knives, made by Joseph Rogers. Reg Cooper bowie knives are available at Sheffield Cutlery and Flatware. Samuel Stainforth – http://www.s-staniforth.co.uk – have been making knives in Sheffield since 1864 and do a very large range of knives, including survival knives, hunting knives, tactical knives and sheafs. They are all made in Sheffield. All their products come with a lifetime guarantee. They also make the Lofty Wiseman Survival Tool I think. J.Adams Ltd (Sheffield Knives) is a family business which has been making knives for six generations. They are also the parent company for three other long established brands F.E. and J.R. Hopkinson Ltd, established 14 June 1944; John Nowill and Sons Ltd, whose corporate name was granted by the Cutlers Company of Hallamshire on 27 April 1700 and Austin McGillivray and Co – http://www.sheffieldknives.co.uk – They make hunting knives, throwing knives, bowie knives, commando knives, pocket knives, military knives, British Army pocket knives, Scottish knives, Scottish dirks, seamen’s knives, folding knives, clasp knives, safety knives, scrapers, crowbars, wrecking bars, punches, wedges, cold chisels, chandlers tools, rubber workers tools, painter’s knives, palette knives, kitchen knives, cook’s knives, butcher’s knives, trade knives, and scissors. They state on their website “we guarantee that all our knives are Sheffield made”. 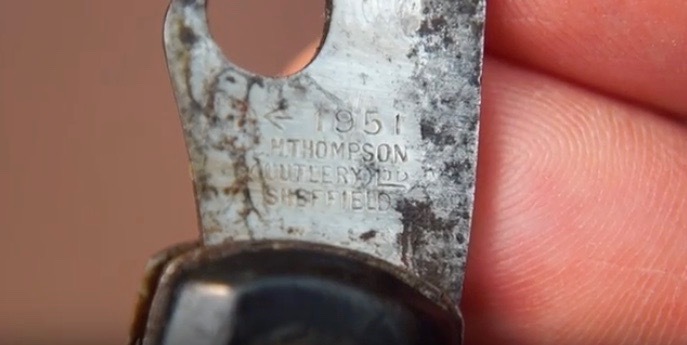 J. H. Thompson (Cutlery) Sheffield were a British manufacturer of cutlery and clasp knives and they made the British Army clasp knives in the 1950s. Sadly they closed down in 1977. A vintage J. H. Thompson (Cutlery) Ltd Sheffield military clasp knife, dated 1951. A vintage J. H. Thompson (Cutlery) Ltd Sheffield military clasp knife, dated 1951. Manufacturer’s stamp detail. Opinel knives are a French company. I don’t know whether or not their knives are still made in France. For a nice OILSTONE AND BOX made in Leicestershire, England try Proops Brothers Ltd on ebay – http://www.ebay.co.uk/itm/350626324112?ssPageName=STRK:MEWNX:IT&_trksid=p3984.m1439.l2649. I have one of these and it is a great bit of kit. STS (NORTH WALES) LTD sell the BLADE-TECH Knife Sharpener which is made in the UK they tell me. They also sell some UK made pocket knives. Everything else they sell is made abroad I think. 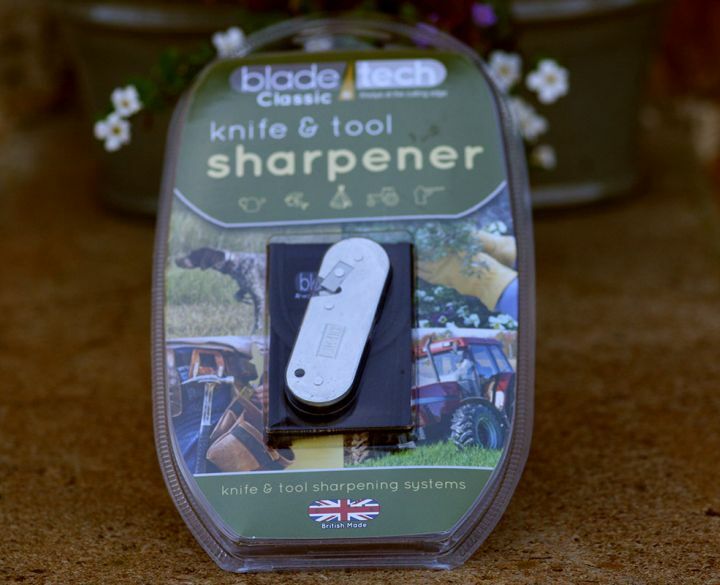 The Blade-Tech is a pocket-sized knife sharpener which can be used for scissors, kitchen knives, hunting knives, pen knives, garden tools including secateurs, shears, loppers, pruners, mower blades and scythes. They get mixed reviews on the net, but I find this a very good product. They also sell the blade-tech sharpener and a selection of British made knives (along with foreign made products) on their Sporting Cutlery website, where there is also an interesting article on UK knife carrying law. They tell us “a “UK legal carry” knife that is non locking, folding knife and has a cutting edge of less than 3”. You are legally allowed to carry this type of knife on your person in a public place without the need for any specific reason for carrying it. The only exception to this rule is in any place in the UK that has restrictions specifically against pointed or bladed instruments e.g. airports and schools.” They go on to tell us “If you need to use a locking knife or a fixed bladed knife for added safety then you may be required to give ‘good reason’ for carrying it if asked to do so by a Police Officer.” There are rules in place at many airports across the world that prevent or restrict the carriage of any knives or scissors in your hand luggage or on your person once past border control. Such items will need to be placed in the hold. Knives with blades 6cm or less are permitted through UK airports (no corkscrews allowed; it might be noted that 6cm is less than the UK carry legal 3 inches or 7.62cm). However, some airports and airlines have their own guidelines (or lack thereof). In the USA knives are not permitted in hand-luggage (see below). There are instructions for using the Blade-Tech classic knife and tool sharpener here. Their Blade-Tech website states their Blade-Tech classic knife and tool sharpener and their G2 sharpener are “Made in the UK”. Blade-Tech classic knife and tool sharpener. The packaging is clearly lableled British Made. The product itself is not labelled with country of origin. It comes with a neat little storage pouch with a belt loop. Barber of Sheffield – trade only – makes or sells a range of surgical instruments, scalpel blades, needles, tattoo equipment and medical equipment but I am not sure how many, if indeed any, of their products are made in the UK. Likewise with Medezine Medical Saws – trade only – of Sheffield it is not clear from their website which, if any, of their products are made in the UK. B Braun (Aesculap) – trade only – is apparently the UK’s largest manufacturer of surgical instruments and is based in Sheffield. Can anyone tell me if any of these companies actually manufacture in the UK? Skidmore OEM trade only – is a surgical Instrument manufacturer based in Sheffield and they say they are the largest UK’s premier OEM surgical instrument and Orthopaedic Implant manufacturer. They have a factory in Sheffield but I am not sure if all their products are made in the UK. 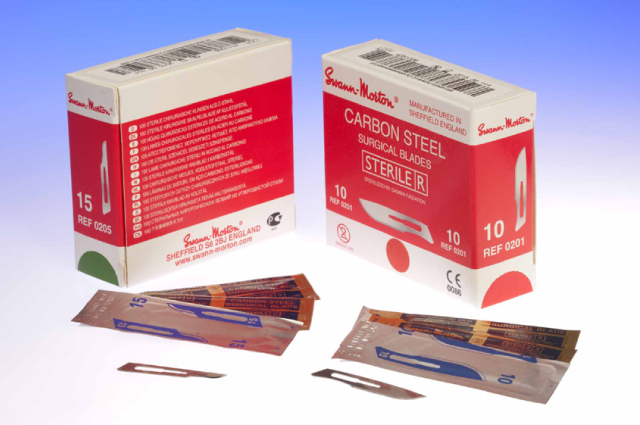 Founded in Sheffield in 1932, Swann-Morton (W.R.Swann & Co) manufacture surgical blades, scalpels and handles and craft knives in the UK. Some or possibly all of their products are made in the UK. Products are marked ‘Sheffield, England’ or ‘Made in England’ or ‘Made in Sheffield’ or ‘Manufactured in Sheffield, England’. They also own Jewel Blade, originally makers of razor blades, now making ‘stanley knife’ blades, hook ‘stanley’ blades, industrial craft blades, scraper blades, snap off blades, Derinder and Skinner food saw blades, and industrial razor blades; all made in Sheffield. Swann-Morton Craft Knives BRASS CRAFT TOOL. Made in England. Jewel Blade IND91A Medium duty 2 notch trimming utility blade. Made in England. Swann Morton surgical blades. Made in England. Granton Medical also manufacture musical tuning forks under the brand Ragg Tuning Forks, which also seems to be part of medical manufacturer Uniplex UK Ltd. There is also Granton Knives which is part of the same company. They manufacture kitchen knives in Sheffield, England. Also, see Medical kit for more non-metal surgical and specialist medical equipment. Clico (Sheffield) Tooling Ltd make cutting tools in the Aerospace, Window Frame and Woodworking Industries as well as a range of hand woodworking tools. Their website suggests everything is made in Sheffield, but it would be wise to check before purchasing. Robert Sorby make woodworking tools, woodturning tools and woodcarving tools. All Robert Sorby products are made in Sheffield, England. Ashley Iles make woodworking tools, woodturning tools and chisels in Lincolnshire, England. Their website suggests everything is made in the UK, but it would be wise to check before purchasing. Durham Duplex – http://www.durham-duplex.co.uk – trade only – Based in Sheffield, England, Durham Duplex manufacture of high performance machine knives, hand-held knives, safety knives, knife blades, razor blades and industrial razor blades. Most of their products are made in Sheffield, England. Slater Knives (Herbert M. Slater (1853) Ltd.) – http://www.slaterknives.co.uk – are still made in Sheffield (some goods are marked as imported on their website, so obviously not these ones – for example their Machette is imported, as is their tramontina range, some cutlery, knives and bread knives but everything else from Slater is made in the UK) – makers of butchers knives, cooks knives, steels, choppers, forks, s-hooks, skewers, needles, scrapers, scissors, saws, palette knives, fish trade knives, trade knives, pocket knives, sheaf knives, scout knives, Skien Dhu and cutlery. Prices are very reasonable too (you need to add VAT and postage to the prices shown on their website). For more on tools and garden tools please see my article on tools. 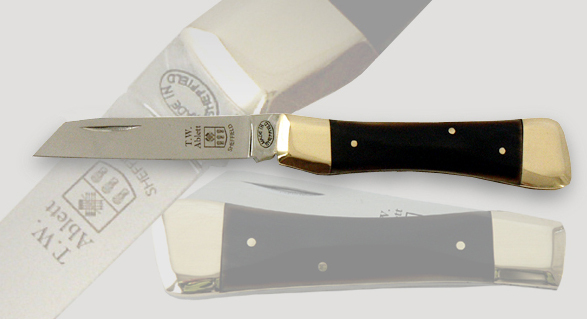 The Safety Knife Company Ltd was founded in 1995 and is based in Gloucester, England. All their Safety Knives are designed & manufactured in the UK. The blades are of Sheffield Steel. They make safety knives for home, industry (including detectable knives), warehouses and rescue, including safety knives ideal as emergency seat belt cutters, together with replacement blades. Lifeaxe emergency hammers are manufactured in the UK. It should be stressed that it is only the Lifeaxe branded products (i.e. the Lifeaxe Emergency Hammers) that are manufactured in the UK. Everything else on their website is made abroad. There are other UK made knives and cutlery out there too I think. http://www.madeinsheffield.org is a membership organisation that allows their members to use the Made in Sheffield mark. Their website includes a list of members. Members must make some or all of their products in Sheffield. Sheffield made is defined as where ‘goods are deemed to have been manufactured or produced in the country [or city] in which they last underwent a treatment or process resulting in a substantial change’, as per the Trade Descriptions Act 1968. For example simply painting a product before distribution or putting it in a box before distribution or even silver plating before distribution does not make something Sheffield made. A useful website, but of course membership is voluntary and incurs a fee. My Stanley Knife is made in England, but sadly the company have informed me that their knives are now made in the USA. You can though still get British made blades that fit Stanley knives, for example these ones on e-bay. 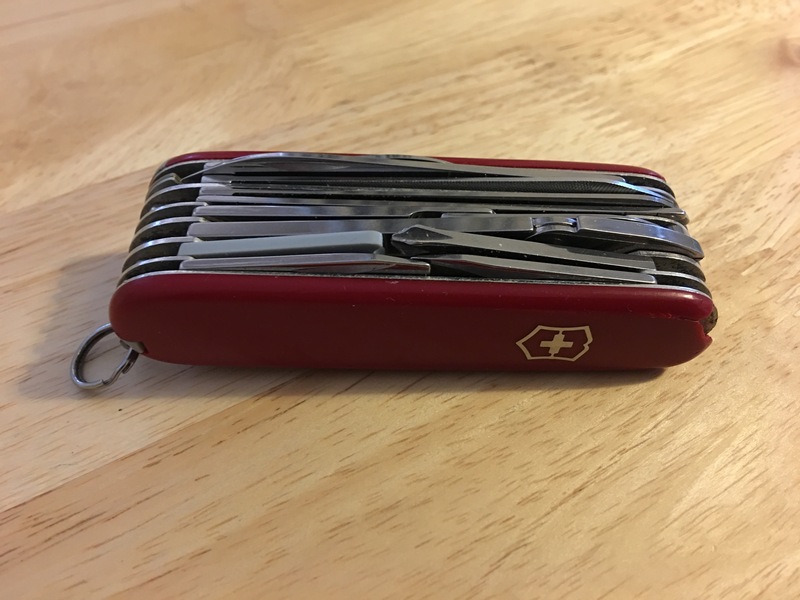 Swiss made Swiss Army Knives (SAKs) by Victorinox (maker of the the ‘Original Swiss Army Knife‘) and Wenger (maker of the ‘Genuine Swiss Army Knife’) are great, and I have a couple myself, but you can’t beat a traditional British pocket knife for durability. 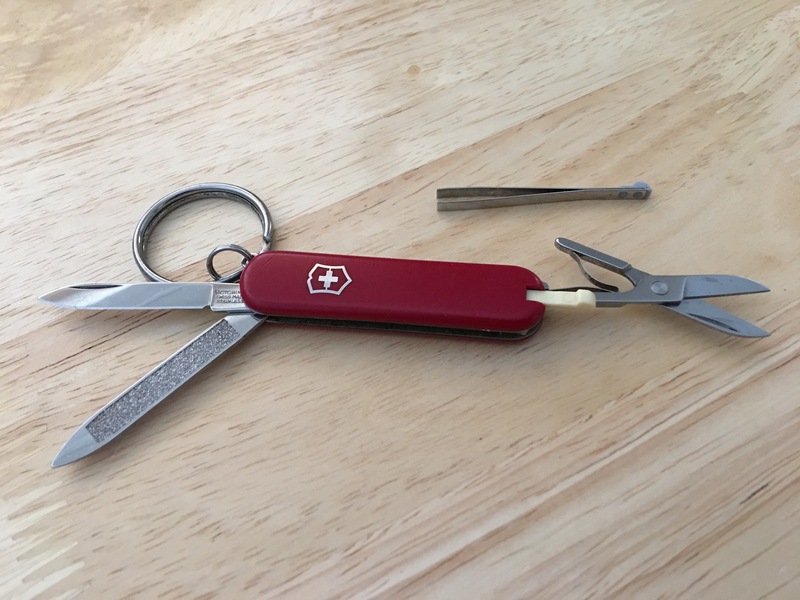 Victorinox purchased their Swiss rival, Wenger, in 2005. 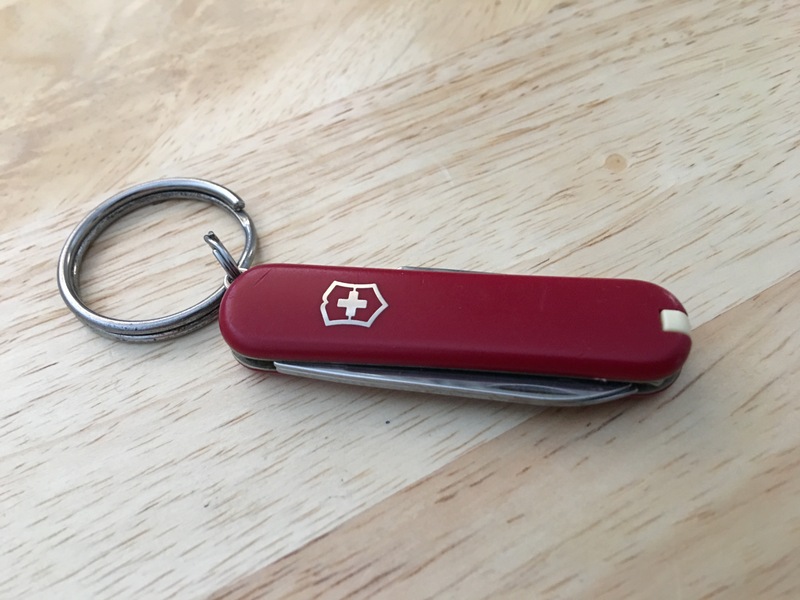 In 2013, Wenger and Victorinox announced that the separate knife brands were going to be merged into one brand: Victorinox. At that time they stated that Wenger’s factory in Delémont would continue to produce knives and that no jobs would be lost. I note that by 2016 Wenger branded knives are no longer available and that the brand name is now just used for watches and bags. I don’t know whether any of these products are made at the Delémont factory but, whilst the watches are Swiss made, I suspect the bags are made in China and I don’t know if the Delémont factory remains open or if it still produces knives. The Victorinox factory is in Ibach, also in Switzerland and all Victorinox knives continue to be made in Switzerland. 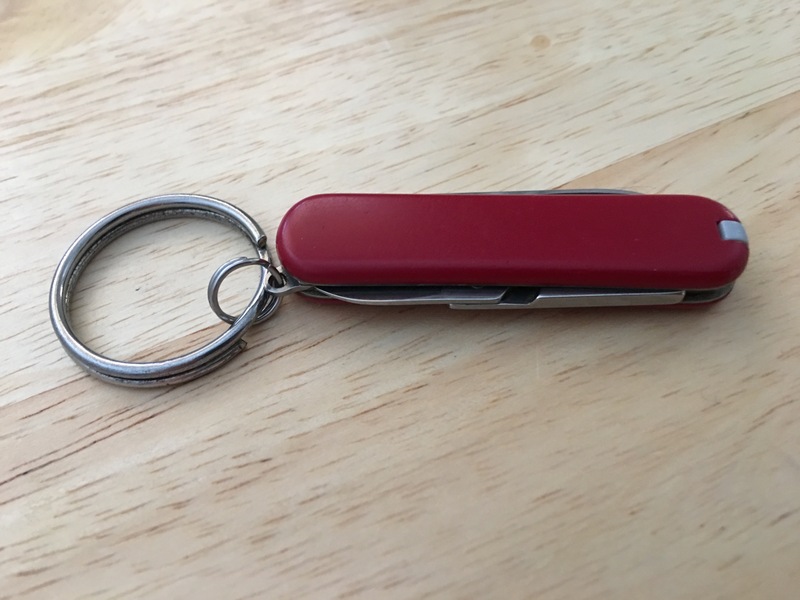 A Victorinox Swiss Champ penknife. Purchased around February 2009. Photograpgh by author. 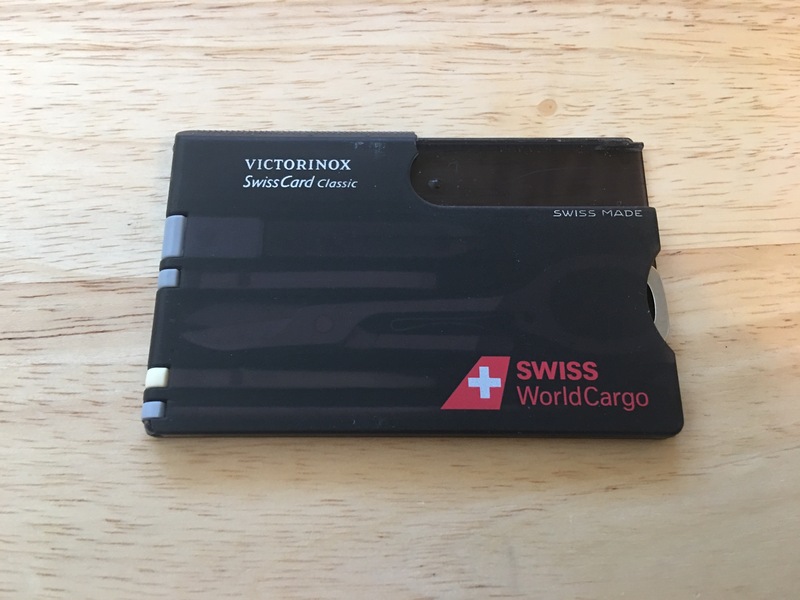 Victorinox Swiss Card Classic (Swiss World Cargo version). Swiss Made. The plastic has broken top right so the small knife is missing (actually making it better for travel in some places). Photograph by author 27 August 2017. Spyderco UKPK (Spyderco UK Penknife; from their SLIPIT non-locking folding knives range – which are only suitable for delicate tasks) are nice pocket knives, but made in the USA – http://www.youtube.com/watch?v=gCZEkIi_sms. 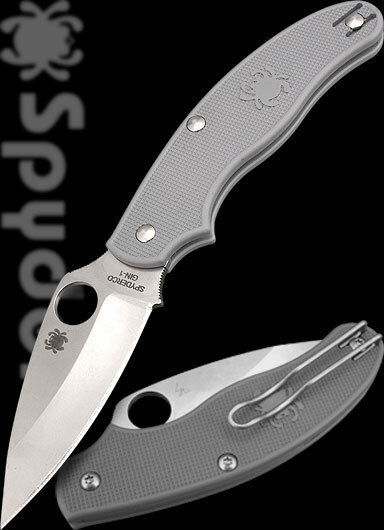 Starting in 2004, “Spyderco developed the UK Penknife after the United Kingdom prohibited the carry of knives with locking blades”. Perhaps a UK manufacturer might like to make something similar? When you consider the rich heritage of knife making in Great Britain it is somewhat ironic that an American knife company has come up with a modern pocket knife for the UK market. It allows for one handed opening which is a useful feature that makes using a pocket knife much easier, especially when you have your hands full. Spyderco knives are available in the UK from Heinnie Haynes. The UKPK weighs 54 g (1.9 oz), has an overall blade length of 74mm (2.9″), a slightly curved (the kind of curve depends on whether it is a drop point or a leaf shape) cutting edge of 59mm (2.34″) and an overall length 175mm (6.9″) approximately. It also has a pocket clip. There are many other companies making knives outside of the UK which are sold in the UK. Heinnie Haynes also stock a few other British made items, including British made knives, and lots of foreign made items, and give excellent customer service. 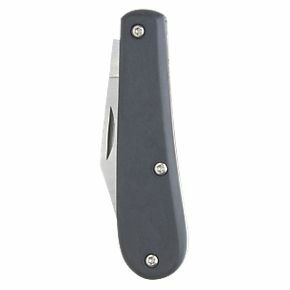 Spyderco UK Penknife Grey FRN Leaf Plain. Please see my separate article on British made kitchen knives, cutlery, scissors and silverware – there is some crossover with this article. Pocket knives should be kept sharp, oiled, and appropriately cleaned before and after each use. Opening parcels; cutting rope, tags, and string; opening or flattening a box. Dividing an aspirin for fractional dose. Cutting and eating an apple or other fruit; preparing and eating other foods. In the great outdoors – hunting, fishing, camping, e.g. preparing kindling for a fire. Sharpening pencils; whittling and carving. De-burring and repairing wood, plastic and metal objects. Cutting and cleaning finger nails. Extracting objects from cracks, slots and crevices and prying things loose. Cleaning cracks and recesses or scraping away rust, paint, adhesive or tape. As a screwdriver; opening cheap locks. Cutting a seatbelt to release a trapped person; in almost any crisis. “A well designed, well made knife makes a fantastic tool for a huge number of important tasks. Our knives are highly crafted items aimed at professionals and responsible users who appreciate fine quality. The nature of a knife as a product makes it necessary for all countries to have their own laws surrounding sale and ownership. In the UK, it is legal to carry a folding Pocket Knife having a blade with a cutting edge of less than 3 inches (7.62cm) in a public place. All of our Pocket Knives feature blades with cutting edges of less than this length. We would still urge a “common sense” approach as to where and when it might be appropriate to carry a knife. For any knife with a cutting edge of more than 3 inches, a person must have to have a justifiable reason for carrying one in a public place in the UK. For example a chef carrying his knife set on his way to work would have a justifiable reason for doing so. Strictly no retail sales to under 18’s. Further guidance (for the UK) can be found at https://www.gov.uk/find-out-if-i-can-buy-or-carry-a-knife. “It is illegal to” “carry a knife in public without good reason – unless it’s a knife with a folding blade 3 inches long (7.62cm) or less”. “Lock knives are not classed as folding knives and are illegal to carry in public without good reason”. “Lock knives have” “blades that can be locked and refolded only by pressing a button”. “It is illegal to” “carry, buy or sell any type of banned knife.” “It is illegal to” “use any knife in a threatening way (even a legal knife).” These sentences are taken from the https://www.gov.uk/find-out-if-i-can-buy-or-carry-a-knife website on 12th February 2017. This is an interesting article – Seven Ways to Keep Your Stuff Safe When You Fly. British made pocket knives. British made folding knives. British made clasp knives. British made penknives. British made knives. Pocket knives made in the UK. Penknives made in the UK. UK made knives. UK made pocket knives. British Army Knife. British made safety knives. British made seat belt cutters. Seat belt cutters made in the UK. UK made seat belt cutters. UK made emergency hammers. UK made car hammers. British made emergency hammers. British made gardening tools. British made garden tools. Garden tools made in the UK. British made Machetes. Sheffield made knives. English pocket knives. EDC. Tools. 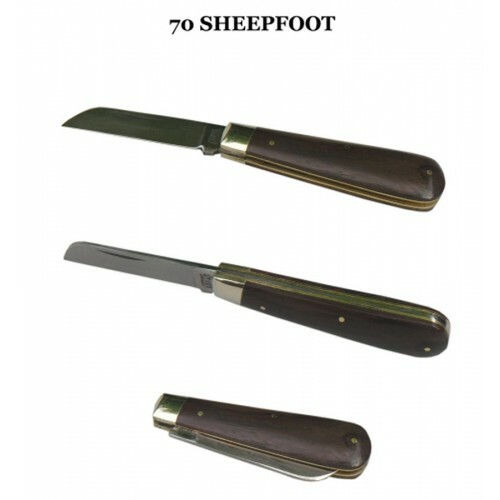 Arthur Wright 70W Farmers Sheepfoot. 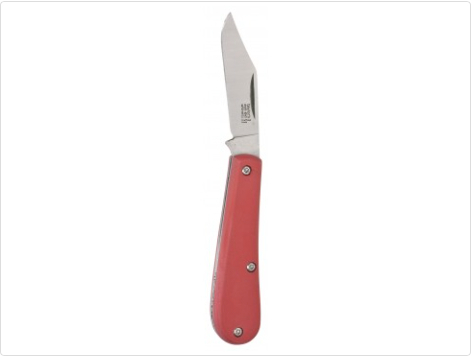 A sturdy no-nonsense utility knife with a wide blade, brass linings, nickel bolsters and Rose Wood scales on handle. 70mm blade. I inherited a 1940s-vintage Milbro Kampa knife from my grandfather. I am about to hand it down to my son, but I can’t find any information on Milbro Kampa knives, apart from (a) it was made in Sheffield and (b) there are a lot of them for sale on line. I would love to know something about the company and/or the knives. Can you help? I’d love to help but I know nothing about these knives I’m afraid. It seems they made throwing knives, commando knives, hunting knives, etc. In this picture I can just make out the words made in England. https://www.bukalapak.com/p/hobi-koleksi/koleksi/benda-tajam/f55xj-jual-antique-milbro-kampa-british-commando-knife-4 The one’s I see online are from the 1940s and onward. Let me if you find out any more please.